Short-sleeved football shirt for men. Perfect for competitions. Praga is the new short-sleeved shirt designed by Erreà for footballers. It is the most elegant football shirt ever, designed to give your team a touch of unrivalled sophistication and finesse. Give your team a professional and extremely refined and distinguished look. The shirt, made from the same fabrics as those used by the players of Parma Calcio 1913, takes sweat away from the body keeping the skin dry and guarantees maximum comfort during physical activity. 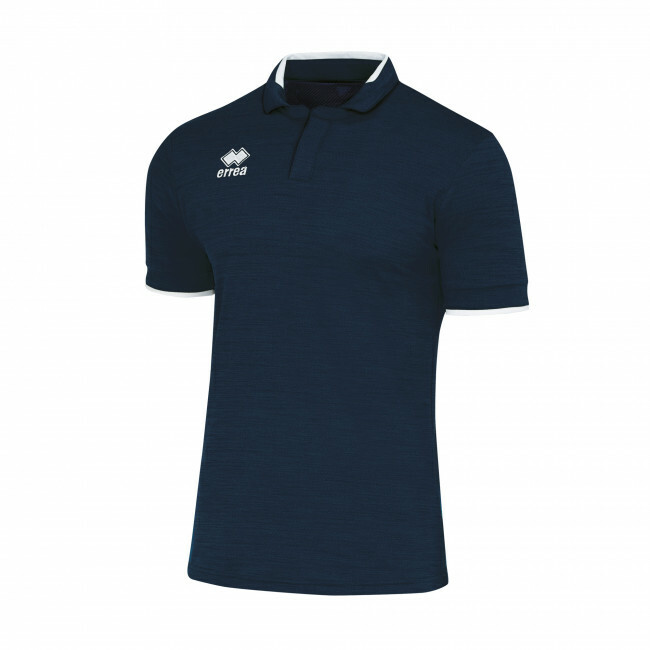 Features: short sleeves; polo collar; small inserts on the collar and sleeves. Semi-fitted wearability. The B-HIVE fabric is made with a special honeycomb weave made up of micro air chambers. This new combination of threads guarantees remarkable breathability and extreme lightness. READ MORE on the B-HIVE fabric.